What's To Love: We've all been Clarence at one point. 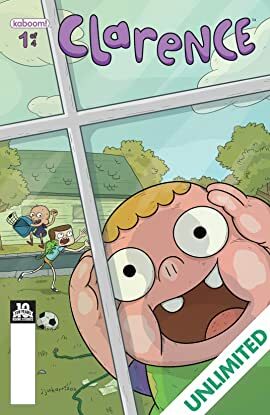 He's an optimistic kid who sees the best in everyone and is happy to play the day away with his best friends, Jeff and Sumo. 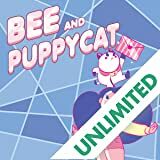 Liz Prince (Tomboy) and artist Evan Palmer (Munchkin) bring all the heart from the hit Cartoon Network animated series to comics for the first time. 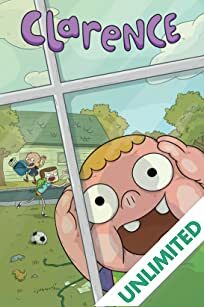 Take a moment to relive childhood!What It Is: Clarence is a typical fourth grader who's always on the search for fun with everyone, finding adventures everywhere from the classroom to his own imagination. 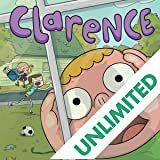 Life might throw a bully or a grumpy adult in his path, but Clarence puts a stop to that with kindness and treating everyone like a friend.